This all new ESC was designed ground up for multirotors and uses all new Fets for superior performance. The real benefit to this standout ESC is the high voltage design. 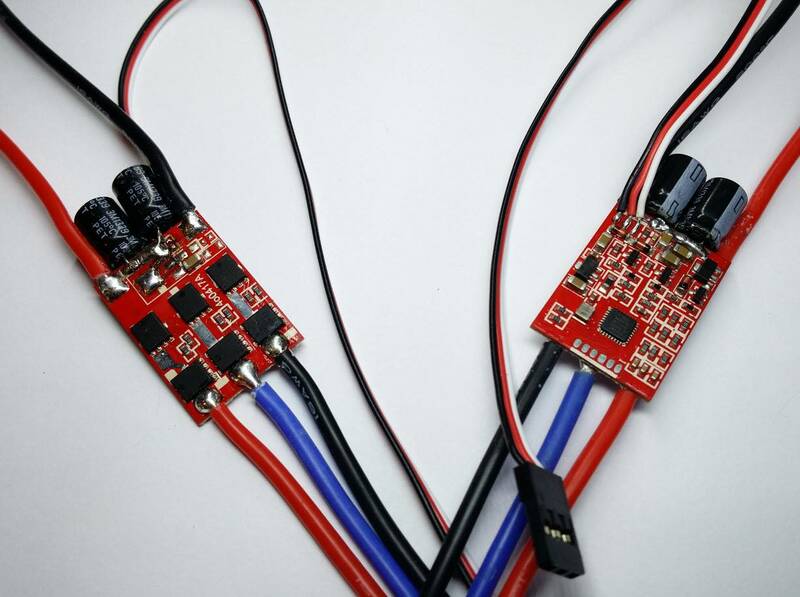 With up to 6 cell lipos, you can have longer flight times without the high weight penalty of all other 6S ESC's on the market. Flashed with the famous SimonK OpenSource Firmware for super-fast throttle response, which makes your quad more responsive and "locked in". These ESCs do not overheat, burn or lock out - unline many other ESCs flashed with the SimonK firmware. The Gold standard ESC for multirotors. Free reflashing if new firmware comes out, flashed with the most currect firmware. ESCs now have the bootload firmware which can be upgraded by using TURNIGY USB Linker.